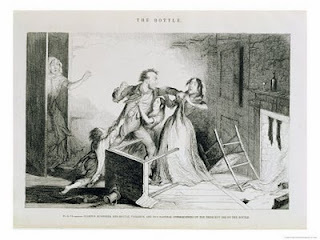 Murder by Gaslight: The Murdered Wife. A troupe of temperance players who visited the town of Berlin, New York in December 1844 had a profound effect on Henry G. Green. It was not their message of sobriety that moved Henry, but the charm and beauty of their leading lady, Mary Ann Wyatt. When the troupe left Berlin, Henry followed and was soon courting Mary Ann. On February 10 they were married. 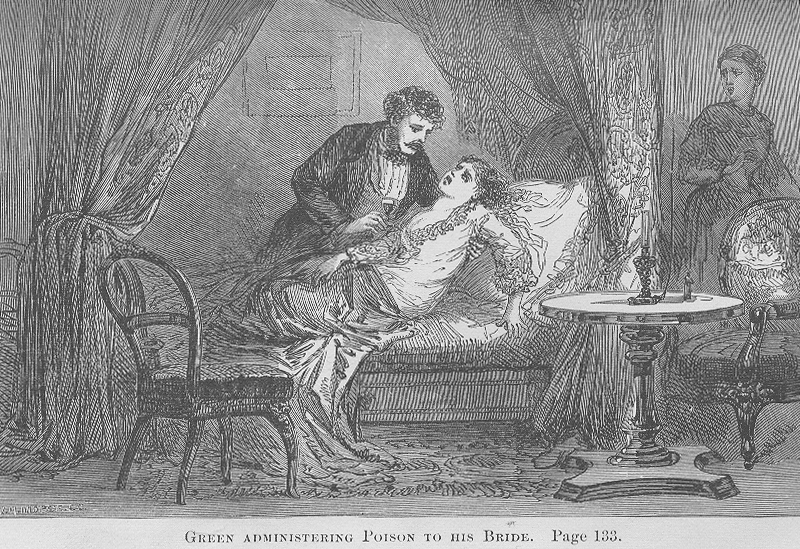 Eight days after that Mary Ann Wyatt Green was dead from arsenic poisoning. There is little doubt Henry Green murdered his wife but his motive in doing so is an enduring mystery. Mary Ann Wyatt was born in Thornton, New Hampshire in 1822. When she was eighteen, she left home with her brother David to work in the mills in Lowell, Massachusetts. They worked in Lowell for three years, then in 1843, they joined a travelling company of temperance players performing a play called The Reformed Drunkard—probably a pirated version of The Drunkard, later produced by P.T. Barnum. Henry Green saw them perform during a three night engagement in Berlin, New York, that opened on December 30. He saw them again in early January in New Lebanon, New York where Henry and another young man from Berlin decided to join the acting company. Henry G. Green was the same age as Mary Ann Wyatt. He was from a prominent family that had lived in Rensselaer County for several generations. In 1842 he opened a store in Berlin and around the same time he had been publicly reprimanded and expelled from the Baptist Church for intoxication. His business faltered and in the fall of 1844 a suspicious fired destroyed the store. Though Green collected insurance on the store, rumors of arson persisted. During this period he had been courting a woman named Alzina Godfrey who refused Greens proposal of marriage. He joined the temperance players looking for a new start. At first Green just sang in the chorus but soon had an acting role. He was also making progress winning the affections of May Anne Wyatt and came to replace her brother David as May Ann’s source of strength. The performing company was not doing well financially and after an engagement in Kinderhook, New York they disbanded. Henry and Mary Ann decided to marry and return to Berlin. She stayed in Stephentown while Henry and David went to Berlin to prepare for the wedding. The date was set for February 17 and Henry invited all of his friends, including Alzina Godfrey. On February 10, Henry went back to Stephentown to see Mary Ann, and there and then, despite the wedding plans, Henry Green and Mary Ann Wyatt were married. The following Tuesday the bride and groom traveled to Berlin and took up residence at a rooming house run by Mr. and Mrs. Ferdinand Hull. On Wednesday Henry Green’s mother and sister arrived from Troy, New York and stayed at the Dennison and Streeter tavern across the street from Hull’s. She sent a message for her son to meet her in the parlor of the tavern and there she and her daughter had a long discussion with Henry. According to Polly Ann Boone, maid at the tavern, she overheard Henry’s mother making derogatory remarks about Mary Ann’s character, saying she had not been virtuous in Troy where she had performed before coming to Berlin. Mrs. Green did not think Mary Ann Wyatt was fit to be her son’s wife, and did not cross the street to meet her new daughter-in-law. Mary Ann caught cold on the sleigh ride and on Friday Henry began to treat her. 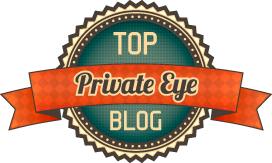 He first persuaded her to take six pills that had been prescribed for him by Dr. Rhodes. They allegedly contained opium. On Saturday he was with some friends at Dennison and Streeter’s, which was a grocery store as well as a tavern. Henry exclaimed that he had seen a mouse on one of the shelves and asked Dennison why he did not put out arsenic to kill the mice. 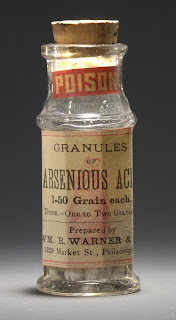 A conversation ensued as to the danger of arsenic, and it was later alleged that Henry had stolen some arsenic from Dennison and Streeter. Later that day Henry prepared a solution for Mary Ann and told her it was soda. Henry left again and Mrs. Hull found Mary Ann vomiting and apparently at the brink of death. She sent for Dr. Ferdinand Hull who recommended that her stomach be rinsed with hot water. Henry objected to this and obstructed every treatment the doctor ordered. Mary Ann’s condition continued to worsen and Henry was seen several times giving her powders not prescribed by the doctor. He gave her crust coffee—a drink made from toasted bread crust and water—which Mary Ann complained did not taste right. He gave her a white solution he claimed was cream of tartar. Mrs. Hull and other boarders caring for Mary Ann saw Henry taint wine and soup with white powder. They managed to secure some of the powder and it was later determined to be arsenic. Mary Ann then called Henry to her bedside. She asked him if she had ever deceived him in any respect and if she had ever done anything to injure his feelings. He answered no to both questions. She told Dr. Hull she knew she was about to die and told him about everything Henry had administered to her. Dr. Hull had her repeat the information to Mr. B. Streeter. Her condition worsened to the point where she could no longer speak and at 10:00 AM, Monday morning she died. A coroner’s inquest was held and a postmortem examination proved that Mary Ann had died of arsenic poisoning. 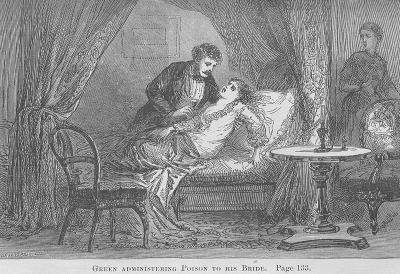 Henry Green was arrested for the murder of his wife. 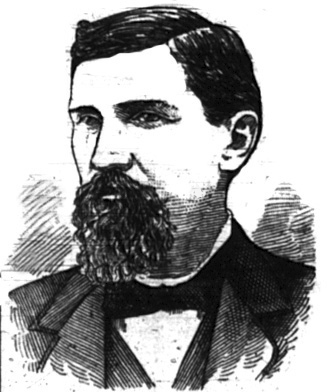 Henry G. Green was tried before Judge A. J. Parker in the court of Oyer and Terminer of Rensselaer County. The testimony of Doctor Hull and all of those who cared for or observed Mary Ann Wyatt Green on her death bed formed a very strong case of circumstantial evidence against Henry Green. The defense could offer little more than character witnesses for their client. The jury returned a verdict of guilty. That is adding nothing to what has been said before. That plea was put in for you by your counsel, and the issue has been tried with every advantage on your part. You have had the advantage of very distinguished counsel whose endeavors have been unremitting to secure your acquittal. You have had the aid of rich and powerful friends—friends of high respectability and character, who have secured you every opportunity of presenting your whole case to the jury fully and fairly…Your case in all its aspects, exceeds in enormity any of which I have ever heard. It will no doubt stand out on the page of history, as the most criminal, awful case of murder that ever came before a court and jury. Henry Green was sentenced to hang on September 10, 1845. Though an appeal was denied, Henry Green’s “rich and powerful friends” worked very hard to pressure Governor Silas Wright for executive clemency. They called Green insane; they requested time for the legislature to change the murder laws; they requested time for Green to adequately prepare for death. Henry Green was so sure that he would be reprieved that in August he helped his cellmate escape from the Troy jail, but did not escape himself. In the end, the governor refused all of the requests and on September 10, Green was hanged. It was a private hanging with only fifty spectators, but outside the jail yard thousands of people had gathered for the event. Five days after the hanging Henry Green’s confession was published. In it he exonerated his mother and Alzina Godfrey but offered little to explain why he had murdered his wife. This monument is erected by the Citizens of Berlin in memory of Mary Ann Wyatt, wife of Henry G. Green, who was married Feb. 9, 1845 and on the 14th day of the same month was poisoned by her husband with arsenic without any real or pretended cause. "This case had everything a balladeer could ask for: a rich young man, a beautiful bride, passion, jealousy, married bliss, and tragedy. Practically everyone who could make a rhyme, it seems, composed verses about the crime." Mysteries of crime as shown in remarkable capital trials . Boston: S. Walker, 1870. Green, Henry G.. Trial of Henry G. Green, for the murder of his wife. New York: Printed for the publisher, 1845. Jones, Louis C.. Three Eyes on the Past: Exploring New York Folklife (York State Books) . Syracuse, N.Y.: Syracuse University Press, 1982. Burt, Olive Woolley. 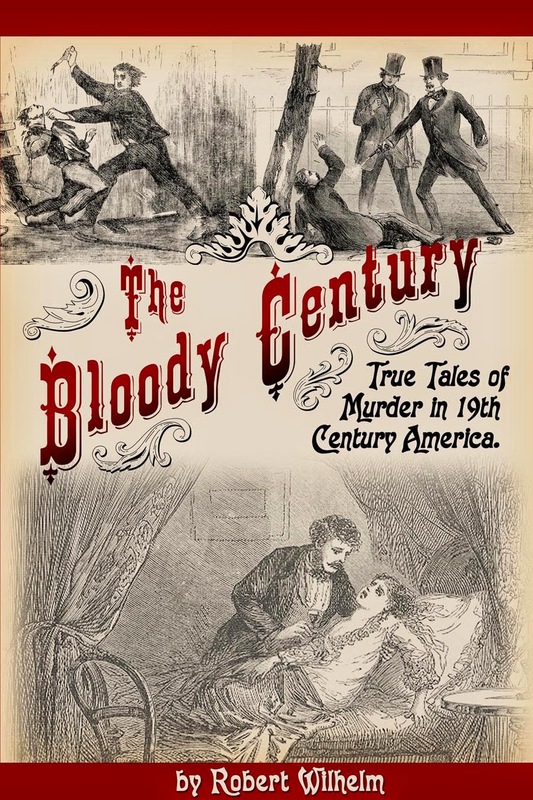 AMERICAN MURDER BALLADS AND THEIR STORIES. . New York: Oxford University Press, 1958. He murdered his bride on Valentine's Day. Good heavens, the vision described of her exhumed body, the Auburn locks disintegrating in the wind.. it gives me worse chills than the awful murder itself. Poor dear.